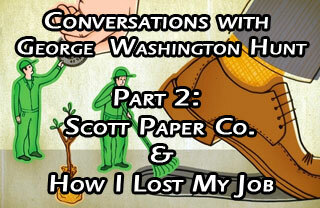 In the second part of the Conversations with George Washington Hunt we learn about how Mr. Hunt lost his Job at a large multinational corporation because he questioned them about their pollution policies. 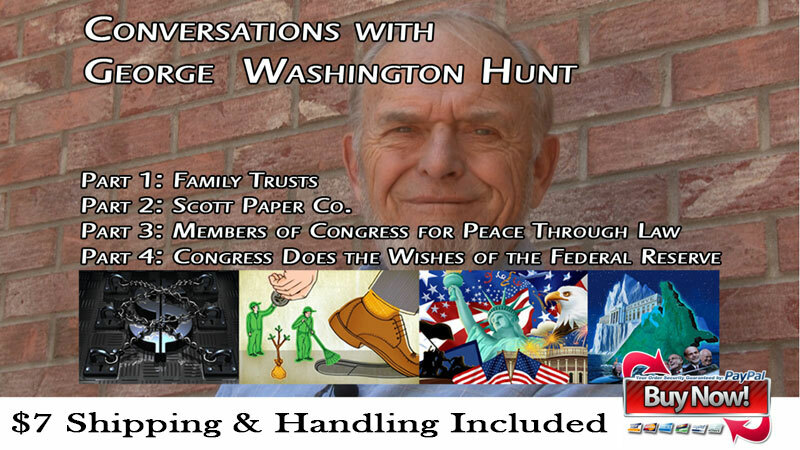 George had sold paper products at a company, formally known as, Scott Paper Co. At a particular company meeting he was asked to put in his thoughts and ask any questions he’d like. George asked the vice presidents at Scott Paper about what kinds of plans they have for balancing out their harmful pollution’s on the environment. George was approached after he headed back to work and was told that the question he asked stirred up too much dis-satisfactory buzz that George speaking up for the environment and down to corporate policy is the fine line that they didn’t want to cross so they decided his time at the company had to be expelled.